As we learned earlier this year, The Wind Rises will be the final film from legendary filmmaker Hayao Miyazaki. The Studio Ghibli production was picked up by Disney who will release the film in limited theaters on February 21st next year, and expand the release the following week. But Disney will also give the film an Oscar qualifying run for a week only in New York and Los Angeles from November 8th-14th this year. We've already seen a beautiful extended trailer for the animated film, and now the first poster for the US release is here. It's sad knowing this is Miyazaki's last film, but it looks like he'll go out with a bang. Studio Ghibli's next film, with the legendary Hayao Miyazaki at the helm, will be called Kaze Tachinu or The Wind Rises. It's an adaptation of Miyazaki's most recent color comic as well as a novel by Tatsuo Hori, about the man who designed the Zero Fighter airplane which was used in World War II. Hideaki Anno will voice Jiro Horikoshi in the film which The Toho Company already released this past summer in Japan. 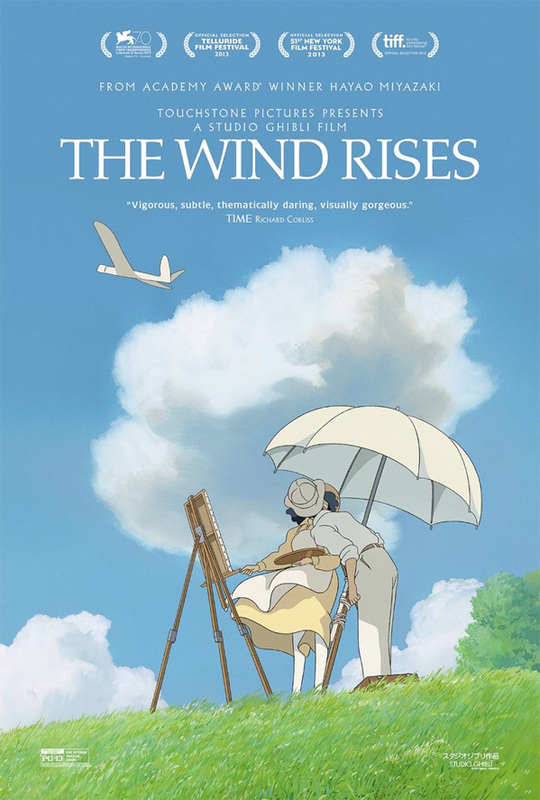 Disney gives The Wind Rises a limited release in the US starting February 21st, 2014, expanding a week after, in addition to an awards qualifying run in New York and Los Angeles from November 8th-14th. I dug this one. Hopefully we get one or two more. Saw this movie at the NYFF. It was unbelievable.